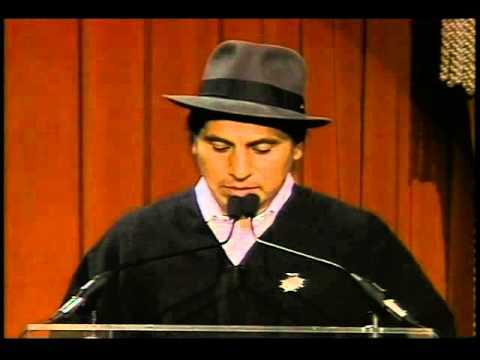 A Quichua from the Andes and president of the Confederation of Indigenous Nationalities of Ecuador, Luis Macas led a peaceful struggle for indigenous rights, including negotiating a 3-million-acre land transfer back to indigenous control. In Ecuador, where indigenous people represent 45 percent of the population, Luis Macas, a Quichua Indian from the Andean highlands, emerged as the leading champion of indigenous rights. On May 28, 1990, in a carefully synchronized event, more than a million indigenous people around the country stopped working. During the general strike that followed, highways were blocked and food supplies to the capital were cut off. One of the principal architects of this peaceful uprising or levantamiento, Macas succeeded in opening the door to discussions between indigenous groups and the Ecuadorian government. In May 1992, then-President Rodrigo Borja granted legal title to three million acres of homelands in the Amazon’s Oriente region to 148 communities of indigenous peoples – the single largest return of land in the Amazon region. Since then, however, these same communities have been under intense pressure from multi-national companies that have been drilling for oil in the Oriente for more than twenty years. As the leader of Ecuador’s national Indian organization, CONAIE, Macas was at the forefront of an effort to get the oil companies to make provisions to protect the Oriente, a region that biologists believe may be the world’s most biologically diverse. In June 1994, a controversial agrarian development law put the country in a state of turmoil. The president claimed the new law would modernize the country’s agricultural sector. However, indigenous and peasant organizations called it unconstitutional, stating that it would destroy their agricultural economy, threaten traditional systems of land tenure and drive thousands to immigrate to city slums in search of work. In his negotiations with the president, Macas presented alternative proposals, developed by CONAIE, that took the needs of the rural population into account. 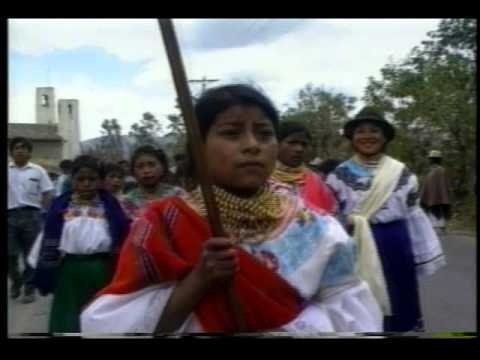 In 1996, Macas earned the distinction of being the first indigenous person elected to Ecuador’s National Congress. By 1998, there were eight indigenous representatives in congress. Recognizing that it is extremely difficult for indigenous people to leave their communities in order to study, Macas’ vision is to create an extension-type system whereby the university will come into the communities. Macas has also been actively involved with the growth of the Rhoda Goldman Primary School that he founded. Follow CONAIE on Twitter (Spanish only).